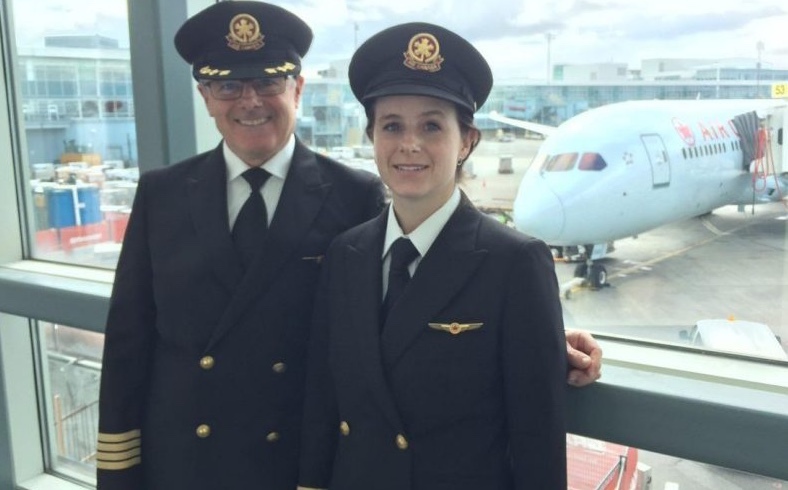 A father and daughter became the first captain and first officer with that relationship to fly a transcontinental route for Air Canada. Jenni Olafson occupied the right seat of a Boeing 787 commanded by her father James from Vancouver to Taipei in late March. “To fly together on a professional level was just one of those things that we absolutely had to do before my dad retires,” Olafson told the Toronto Star. The flight was routine and Olafson said the long cruise gave the two pilots a chance to “have a good visit.” The younger Olafson has flown for Air Canada for seven years and is based in Vancouver while her father is based in Toronto. With a little help from crew schedulers, the flight was made possible. “It was just something I’d always worked towards as a little kid, to actually fly with my dad. I never thought it was going to be possible,” she said.